Home / breaking news / Other / Thief Thinks He’s Getting Away With A Holiday Package, But He’s In For A Big Surprise! Thief Thinks He’s Getting Away With A Holiday Package, But He’s In For A Big Surprise! 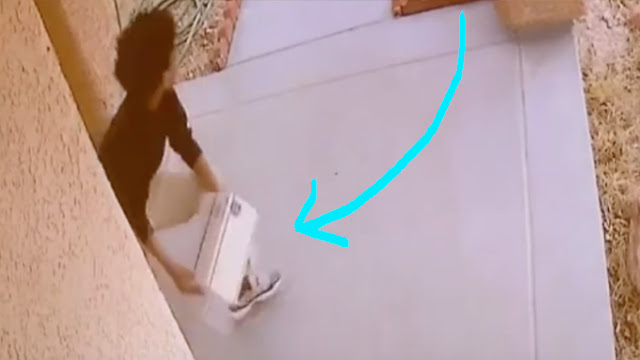 There had been a good number of package thefts reports in Las Vegas this year. When Eric Bardo heard of what was happening around his neighborhood, he decided to take matters into his own hands. Bardo installed new surveillance cameras looming over his front door and garage. He wanted to teach the delinquents some respect, so he gathered his dog’s droppings and stuffed them into a package box and placed it right in front of his door. The package sat there for 4 days until the camera’s caught a young perpetrator grab the box and bolt. Let’s just hope that the thieves learn their lesson!